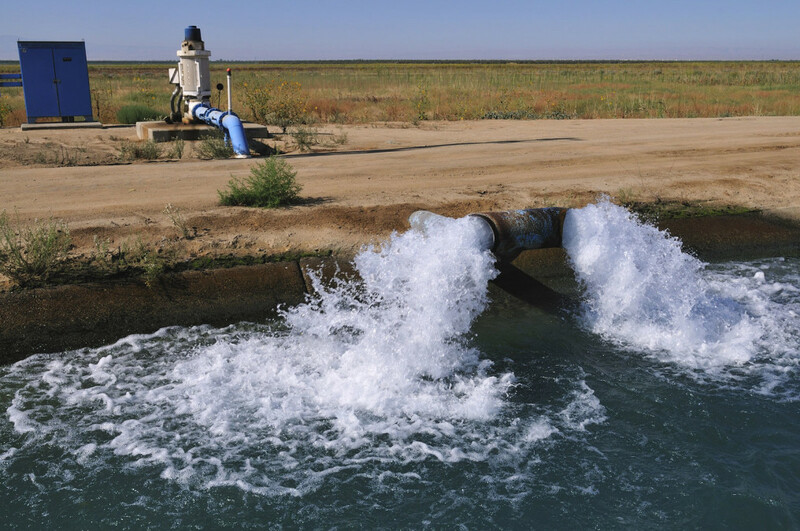 Groundwater now supplies about 60 percent of California’s water supply. As the water is pumped up, the land sinks down. California is sinking – and fast. The sinking is starting to destroy bridges, crack irrigation canals and twist highways across the state, according to the U.S. Geological Survey. 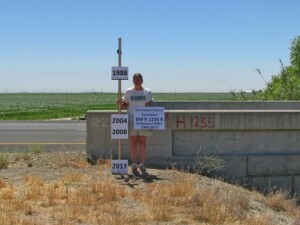 Two bridges in Fresno County – an area that produces about 15 percent of the world’s almonds – have sunk so much that they are nearly underwater and will cost millions to rebuild. Nearby, an elementary school is slowly descending into a miles-long sinkhole that will make it susceptible to future flooding. Private businesses are on the hook, too. One canal system is facing more than $60 million in repairs because one of its dams is sinking. And public and private water wells are being bent and disfigured like crumpled drinking straws as the earth collapses around them – costing $500,000 or more to replace. In the 1920s, farmers began transforming desert lands into verdant crop fields by pumping groundwater to the surface. At the time, these farmers were not just head and shoulders above their modern-day counterparts – they were actually as much as three stories above them. But then the land started to sink. 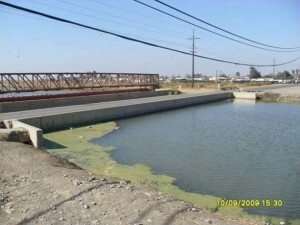 The sinking did not slow until the 1970s, after California had completed its massive canal system – the most expensive public works project in state history. It delivered water from wetter parts of the state to farmers in the Central Valley and elsewhere, relieving their reliance on groundwater. The problem was fixed – at least for a while. Sneed and her boss at the U.S. Geological Survey, Claudia Faunt, have tried reaching out to various government agencies and private businesses to warn them and inquire about the extent of damage being done to infrastructure. But Faunt pointed to the Russell Avenue bridge that crosses the Outside Canal in the Central Valley. It sank during two previous droughts – one in the late 1970s and then again between 1987 and 1992. Now with the current sinking, the 60-year-old bridge is almost totally submerged by canal water.